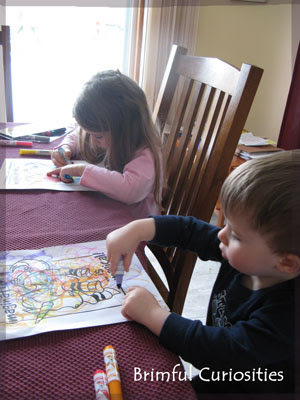 My kids also LOVE coloring. Thank goodness for quiet activities, right? Happy Wednesday! They sure do look busy! This is true. I love when they want to color and even when I suggest it they get excited! Of course there is the usual wall vigil :) Good thing they are washable. Get well soon. I bet they love to color. Most kids do.